How are the tabloids covering the Windrush scandal, in which British citizens who have lived in the country for decades were invited to apply for the citizenship already theirs or face deportation? The Sun covers the story on page 16. 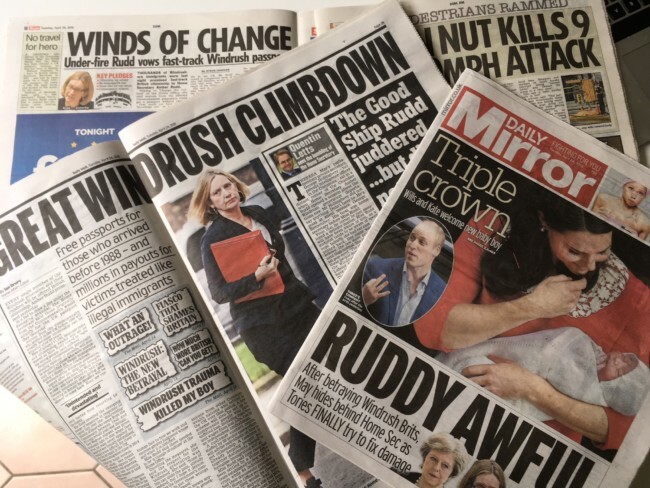 In “WINDS OF CHANGE”, readers see “under-fire” Home Secretary Amber Rudd promising to “fast-track” citizenship for the children of people who were invited to live and work in the Britain – and who were granted citizenship in 1971. These British subjects will not need to sit a “knowledge test” on things about the country – pop quiz: Who is the Home Secretary? Who will be the Home Secretary tomorrow? Have you ever been black? Moreover, some people who lost benefits – housing, medical and more – will be compensated. The talk is of a new”culture” of harmony in which everyone unable to point to their name in the Doomsday Book is not treated as an illegal parasite first and made to prove they are otherwise. The Mail covers the story over pages 24 and 25. It’s the “GRE|AT WINDRUSH CLIMBDOWN”, a headline that evokes Mary Berry clacking her falsies over scones and something essentially noble and British about telling people they are neither. Rudd has unveiled a “sweeping package of measures” to cure the scandal. The Mail’s sketch writer puns about sailing on “The Good Ship Rudd”. The Mirror makes the Windrush front-page stuff. Rudd is “RUDDY AWFUL”. Theresa May pauses from marching round in circles and “hides” behind her Home Secretary. On page 7, Rudd says each case is “painful to hear… the State has let these people down”. On page 8, the Mirror uses its editorial to speak of Rudd’s “humiliation”. 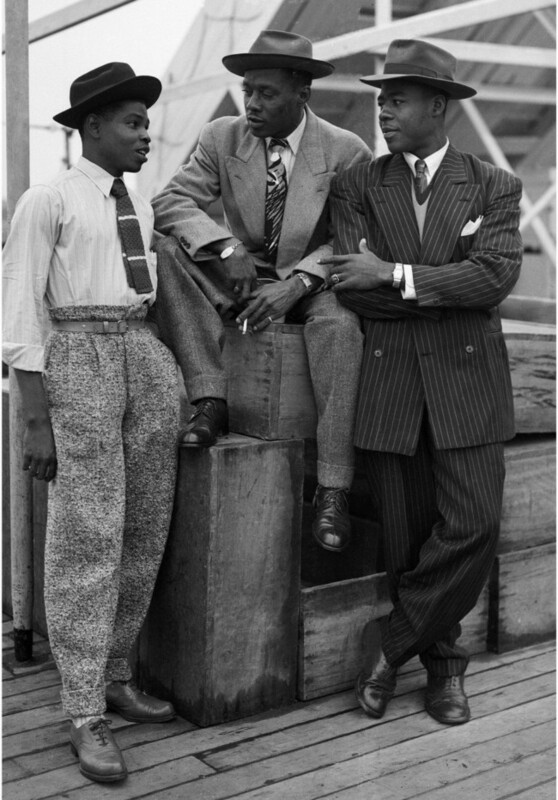 The Windrush scandal is “utterly unforgivable”. “The public backlash is evident that migrants are welcome”. Well, quite. All that guff about Brexit being a vote for racism was just that – guff that monstered the 17.4 million of us who voted to leave the moribund EU. Meanwhile, have you seen that baby of Greek, German and Jewish heritage? Hmmm….